100 Students start college. Who graduates? 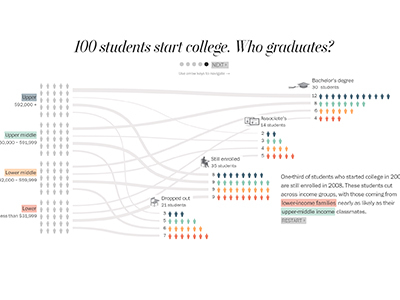 This interactive grpahic from the Washington Post illustrates what happens to an imaginary sample of 100 students who start college, sampled from lower, lower middle, upper middle, and upper class families to demonstrate how whether or not they graduate often depends on external factors when they start school. 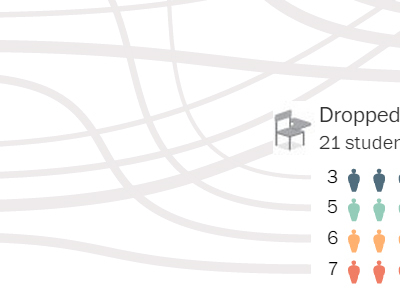 The successive screens demonstrate how many people have dropped at various intermediate milestones.